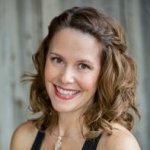 These powerful private sessions with healing facilitator, intuitive and pureyoga founder, Suzy Schaak, open and activate your energy channels, raise your vibrational frequency and remove energetic and emotional blocks so your body can align with its natural state of peace, balance and vibrant health. Suzy began her journey as a healer more than a decade ago and has extensive training in Hands on Healing, Yoga and Intuitive Reading. A passionate yogini, certified yoga instructor, energy healer, and Stillwater resident, Suzy Schaak has worked with thousands of students. She opened her studio, Pure Yoga, almost 7 years ago to create a welcoming gathering place where river valley residents could stretch body, mind and spirit! ”When you live your yoga, you live life as a work of art."